It was a bluer than blue, blue-sky day. 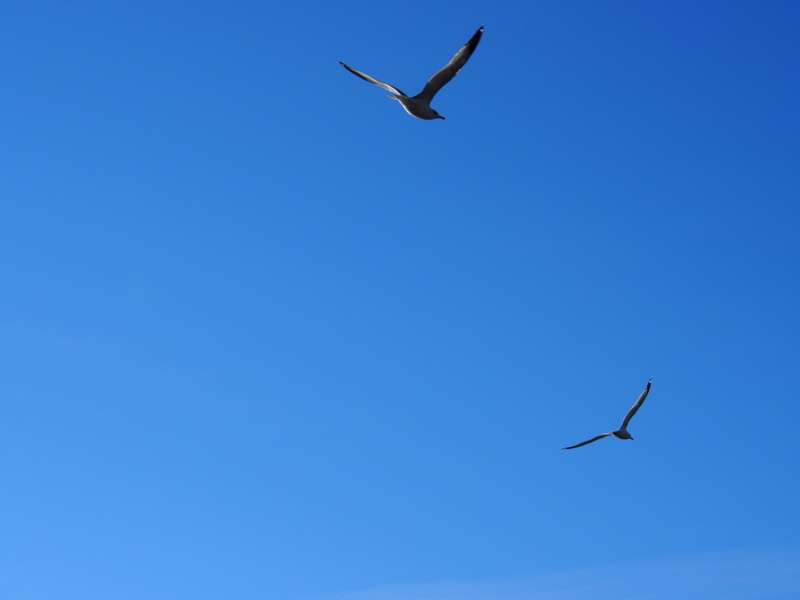 After days and days and, yes, days of grey, even the gulls were celebrating the blue sky and sunshine. They were soaring, and weaving, and diving, and soaring some more. (And, this was no search for food!!) It was absolute JOY, in flight! OH, and it was very much winter today. Not a hint of spring. Below freezing temperatures. Snow fall last night, though it wasn’t long-lasting. None of it matters, though. There’s nothing like blues skies and joyous exuberance to chase the grey away. And, oh yeah…just six days ’til spring. You chose such a perfect title for these beautiful photographs, Juli. Oh – I so know that blue sky feeling. This one is picture-postcard perfect. Love it! Yes, we had blue skies here is Ohio yesterday and it was heavenly. 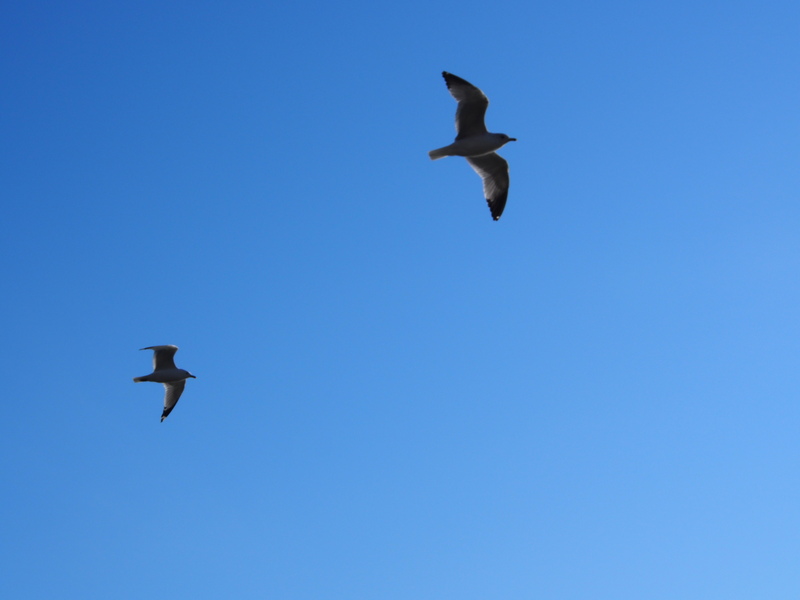 No soaring gulls – a symbol to flight and freedom – but still. I can completely understand their joy. Days like that after a long gray spell make me want to go up on a rooftop and shout with joy! Wouldn’t it be wonderful to be able to fly?